Commenting on reports that several Syrian opposition groups have threatened to boycott the upcoming political settlement talks in Kazakhstan due to claimed ceasefire violations, Middle East expert Danny Makki explained to Sputnik that those rebels are backed by Qatar and Saudi Arabia, which have been sidelined from the Turkish-Russian agreement. Several Syrian opposition groups have signed a statement declaring boycott of the upcoming political settlement talks in Astana, Kazakhstan, citing alleged ceasefire violations. The groups cited alleged “major and frequent violations” in the rebel-held areas of Wadi Barada and Eastern Ghouta outside the Syrian capital Damascus. Radio Sputnik discussed the issue with London-based media analyst and researcher, specializing in the Middle East security, Danny Makki. First of all, he said, it goes against the UN resolution which was unanimously voted on by all of the countries just on Saturday. On December 31, the UN Security Council unanimously adopted a Russian-Turkish resolution on a ceasefire regime in Syria, as well as on holding political talks between the Syrian government and opposition groups in Astana, Kazakhstan in January 2017. A day earlier, on Friday, a nationwide ceasefire between Syrian government troops and several opposition factions came into force. Russia and Turkey serve as guarantors of the deal which paves the way for negotiations between the warring parties. Danny Makki also noted that initially, Wadi Barada was not part to the ceasefire agreement, it was not considered as an area to the ceasefire. Hence for those rebel groups to say that it was a violation of a ceasefire by the government is incorrect. Most of the rebel groups who have issued the statement are on the side of jihadists, he added. “Conspicuously, there are some problems from backers such as Qatar or Saudi Arabia who have been sidelined from the Turkish-Russian agreement and perhaps are seeking some sort of revenge by pressuring these groups to pull out of this agreement,” he explained. In addition to this, he said, the statement is aimed to derail the process which was started by one of the opposition significant backers, Turkey. “It remains to be seen what Turkey makes out of all of this because this have been seen as a diplomatic victory for the Turks in some sense,” he told Sputnik. The initial agreement was signed by about 8 major groups and these major groups represent around over 20 or 30 different small groups, the expert said. All in all, there are hundreds of different rebel groups in Syria, at least two thirds of them were signed up to this agreement, totaling to 60,000 fighters. The groups which have recently stated that they would not continue the process constitute around 20 or 30,000 soldiers on the ground, he explained. Most of these groups are funded either by Saudi Arabia or have Gulf sponsorship in terms of finance and support. The Turkish-backed groups have not pulled out of the agreement, all of the Turkish groups stayed in. “You have so many warring groups and so many different backers that it is almost impossible to get all of them to agree on one thing at one particular moment of time,” Danny Makki noted. Most of the groups around Damascus, who have rejected the ceasefire, are the groups which consider themselves on the threat by recent Syrian army offensive around Wadi Barada. But Wadi Barada was never part of the ceasefire plan, he reiterated. It is Gulf States’ attempt to undermine Russian and Turkish agreement, he noted. He further elaborated that these groups are relatively influential. 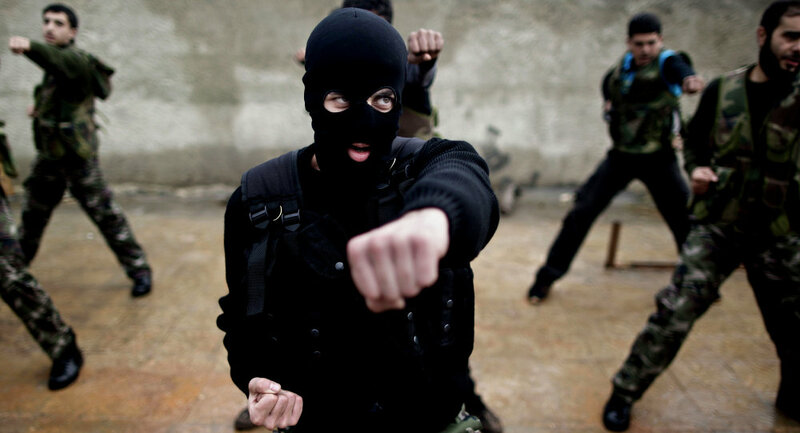 They are mainly located in Damascus and around however they already have a huge presence in the north. Even though, they haven’t posed a very significant threat to the overall ceasefire plan because the plan has been supported by Turkey’s reputation. “You’ve got to remember that many of the groups and movements who have signed up to this agreement are currently fighting with the Turks around the city of Al-Bab against ISIS (Daesh),” he said. “Turks have essentially put their necks out on the line and attempted to say to the Gulf countries: you’ve been supporting the opposition for huge amount of time but because we have a border with Syria, because we have better and closer credibility among the Syrian rebels, we can force them into a ceasefire,” he suggested. “You can clearly see a fact that Saudi Arabia is not even involved in this peace agreement which would create a problem to most of the jihadist groups being funded by Saudi Arabia,” he said. The expert also noted that the current developments in Syria only prove how significant Russian presence in the region has been and how significantly it has changed the internal dynamics of the Syrian crisis. “Who would have thought in 2015 when the government was facing almost breaking point that the Russians would be celebrating at least a moral victory in an international struggle against the US in Aleppo after signing a peace agreement for the rebels with Turkey, one of the main countries and backers of the opposition,” he finally stated. Have you heard the news? Sign up to our Telegram channel and we’ll keep you up to speed! The Syrian Army has declared end of ceasefire claiming that militants did not adhere to any provision of the truce. Syrian militants have breached Moscow-Washington brokered truce more than 300 times, the Army said. The Syrian army reaffirmed commitment to fight against terror after the end of truce. “The ceasefire regime should have been a real chance to stop bloodshed, but units of terrorists did not abhere to any of the points of the agreement. 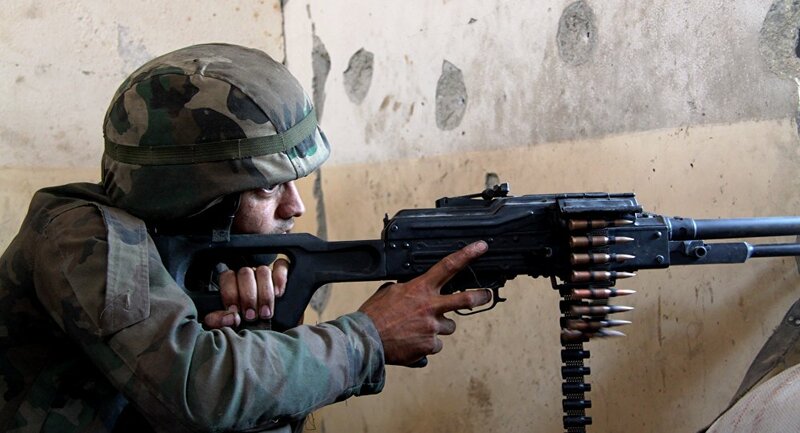 The number of ceasefire violations suprassed 300,” SANA news agency quoted the Syrian Army General Command as saying. On September 9, Russian Foreign Minister Sergey Lavrov and US Secretary of State John Kerry announced a new peace plan to address the conflict in Syria that called for a ceasefire and anti-terrorism cooperation among other clauses of the treaty. The Russian General Staff said that the United States fails to fulfill obligations on Syria, adding that Washington will be responsible for the breakdown of the ceasefire if the situation does not change. The US did not respond to Russia’s appeal containing data on the violations of the Syrian truce by US-controlled armed groups, the chief of the Russian Reconciliation Center in Syria, Lt. Gen. Vladimir Savchenko, said Saturday. “The United States didn’t reply to any of our appeals containing information on ceasefire violations by US-controlled armed groups. Moreover, the US side declines telephone conversations, including those planned in advance, as it happened yesterday,” Savchenko said during a videoconference. During a video link-up, Lt. Gen. Viktor Poznikhir, the first deputy chief of the Main Operational Directorate of the Russian General Staff, said the number of ceasefire violations by Syrian rebel groups had been steadily on the rise since the truce came into force last Monday. “Russia has been doing everything in its power to stop the government troops from responding to the attacks in kind. If the US side does not take steps to fulfill its obligations under the September 9 agreement, it will be fully responsible for the breakdown of the cessation of hostilities regime in Syria,” he continued. Lt. Gen. Poznikhir stressed that the key point in the US-Russia deal was that the United States separates “moderate” opposition groups from Daesh and al-Nusra Front terrorists. Syrian opposition forces violated the nationwide truce 55 times within the past 24 hours, Poznikhir said at a videoconference. Of those 55 violations, 27 were detected in the Aleppo province, 11 in the Damascus province, seven in Hama, six in the mountainous Latakia region, two in Homs, and one each in Daraa and Quneitra. Both government positions and civilian targets had been attacked, he stressed. The military official said the US-Russia deal for a Syrian ceasefire had been violated a total of 199 times in the past five days since the truce came into effect late Monday. “The situation in Syria is deteriorating, mostly in Aleppo and Hama where opposition groups are using the cessation of hostilities regime to regroup, restock ammunition, weapons and preparing to launch an offensive to grab new territories,” Lt. Gen. Poznikhir said. “Continued shelling, illegal armed groups’ failure to comply with the ceasefire regime, the absence of a checkpoint in the militant-controlled eastern part of the Castello Road do not allow to guarantee security of humanitarian access to Aleppo,” he continued. Militants have carried out 26 mortar and rocket attacks on residential areas and Syrian army positions in the city of Aleppo over the past 24 hours, a representative of the Hmeymim-based Russian reconciliation center for Syria said Saturday. “We are in the Ashrafia neighborhood of Aleppo, where residential areas were shelled with mortars and improvised rocket launchers. The situation remains difficult in the Aleppo province and in the city itself. Over the past 24 hours, we recorded 26 instances of residential area and government position shelling by the militants,” Col. Sergei Kopytsin said during a video conference outlining the results of the first five days of the new September 12 Syrian ceasefire. The attacks involved mortars as well as multiple launch rocket systems and anti-tank guided missiles and targeted four districts, a gas plant and farms to the south of the city, he added. “The largest number of casualties was recorded in the Sheikh-Ali-Kobtani district, where three people died and 12 were injured,” the representative added. Lt. Gen. Viktor Poznikhir said that an agreement had been reached on allowing a humanitarian convoy access the besieged Damascus suburb of Moadamiyeh. “The Syrian government guarantees the humanitarian convoy’s passage through the territory under its control, but the issue of its passage through areas controlled by moderate opposition, which is influenced only by the United States, remains. Measures have still not been taken to separate moderate opposition controlled by the United States fromal-Nusra Front,” he added.